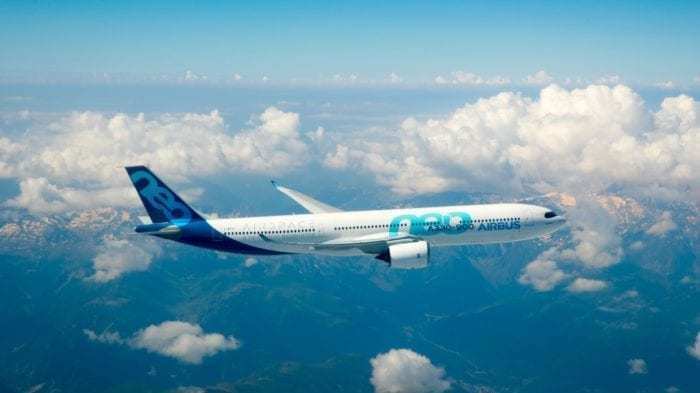 The Airbus A330neo has obtained approval for ETOPS “beyond 180 minutes” from the European Aviation Safety Agency (EASA). The Federal Aviation Administration (FAA) is expected to provide the same approval in the near future. The Airbus A330-900 has a range of 13,334 km. Photo: Airbus. ETOPS is an acronym for Extended-range Twin-engine Operational Performance Standards. ETOPS certification allows twin-engine aircraft to fly more than 60 minutes flying time away from the nearest airport that is suitable for an emergency landing. The new approval for the Airbus A330neo is for ETOPS 285 min. This means that the aircraft is permitted to fly on a route which is not further than 285 minutes flying time with one engine inoperative from the nearest airport that can be used for an emergency landing. In the aviation industry, ETOPS is also jokingly spelled out as “Engines Turn or Passengers Swim,” because many of the ETOPS routes are over water. Contrary to popular belief, not all ETOPS flights are conducted over water though. Flights over Antarctica and areas with a limited number of airports, for example, are also considered ETOPS flights. What is the significance of the ETOPS “beyond 180 minutes” approval? Furthermore, airlines will be able to choose a faster and more fuel-efficient route. 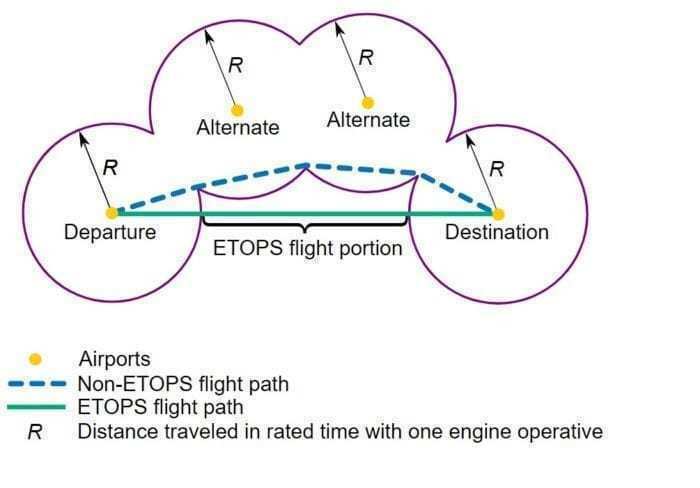 The image below illustrates the difference between an ETOPS and a non-ETOPS flight path. The ETOPS flight path is straighter and shorter. Accordingly, the airlines burn less fuel when they fly this route. The image shows the difference between an ETOPS flight path (green) and a non-ETOPS flight path (dashed blue). Photo: Wikipedia. Additionally, the longer diversion time potentially provides airlines access to better-suited airports in case of an engine failure. Interestingly, the Airbus A330-200/-300 was the first aircraft family that obtained an ETOPS “beyond 180 minutes” approval from EASA back in 2009. The Airbus A330neo provides the lowest cost per seat-mile among aircraft of its size. The aircraft features the new highly efficient Rolls-Royce Trent 7000 engines as well as light composite materials, a 3D-optimized wing, and new wingtip Sharklets. Airbus offers two versions of the aircraft, the A330neo-800 with a range of 7,500 nm with 257 passengers, and the A330neo-900 with a range of 6,550 nm with 287 passengers. As reported by Simple Flying, the first Airbus A330neo was delivered to TAP Portugal in November of last year. TAP Portugal was the first airline to take delivery of the A330neo. Photo: Airbus. Delta Airlines’ first Airbus A330neo left the paint shop in Toulouse earlier this month. It is expected to be delivered later this year. Delta Airlines is the only U.S. airline which has placed orders for the A330neo. Are you looking forward to traveling on the A330neo?